DTEK Naftogaz LLC intends to increase natural gas production in 2019 by 10-12% (by 170-200 million cubic meters) compared to the expected production in 2018, to 1.8 billion cubic meters, manager on regulatory issues in the company Yulia Borzhemska has said during the XVI International Forum “Fuel and Energy Complex of Ukraine: Present and Future” in Kyiv. According to the agency’s calculations, taking into account DTEK gas production in January-September 2018 in the amount of 1.242 billion cubic meters, the expected production in the current year will be 1.66 billion cubic meters. “Next year, thanks to innovations, we will have a growth of 10-12%,” she said. As reported, DTEK Naftogaz plans to achieve production of 2 billion cubic meters of natural gas until 2023. DTEK Naftogaz is an operating company responsible for the oil and gas sector within DTEK energy holding. The assets portfolio of DTEK Naftogaz includes Naftogazvydobuvannia and Naftogazrozrobka, which carry out hydrocarbon exploration and production on three license areas in Poltava and Kharkiv regions. 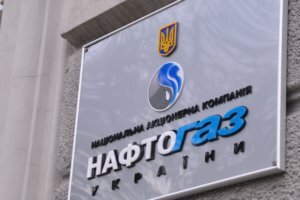 Naftogaz Trading gas supply company LLC on October 12 signed first contracts on the sale and purchase of natural gas using the new sales format. Gas has been supplied under all of the signed contracts. The press service of Naftogaz Ukrainy reported that since October 2018, gas is sold to industrial enterprises via Naftogaz Trading with the introduction of the new model for selling gas, and Naftogaz sells gas only under long-term contracts. The price of gas could change several times a day in line with the changes on the European market and hryvnia exchange rate fluctuations. “The new gas sales model is flexible and convenient for both the supplier and the consumer. 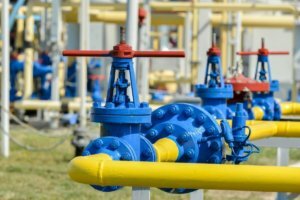 Its implementation will contribute to the development of the Ukrainian gas market and bring it to global standards,” Naftogaz Ukrainy Chief Commercial Officer Yuriy Vitrenko said. National joint-stock company Naftogaz Ukrainy has accumulated enough volumes of natural gas in its underground gas storage facilities to steadily pass the autumn and winter period, Naftogaz Chief Commercial Officer Yuriy Vitrenko said at a press conference in Kyiv on Tuesday. “Now there are some 16 billion cubic meters of gas in underground gas storage facilities. This is enough to pass winter with comfort,” he said. 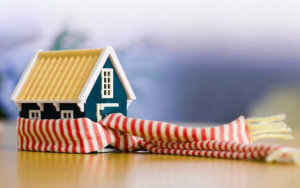 Vitrenko said that there is a strong likelihood that after the completion of the heating season the company would have a good gas reserve in the storage facilities. PJSC Ukrgazvydobuvannia will pay dividends to its sole shareholder Naftogaz Ukrainy from August 22 to August 30, 2018, Ukrgazvydobuvannia reported in the information disclosure system of the National Commission on Securities and the Stock Market. 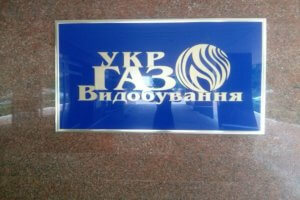 Payments will be made in accordance with the decision of Naftogaz dated August 3. As reported, Ukrgazvydobuvannia in 2017 increased its net profit by 2.6 times (by UAH 18.553 billion) compared to 2016, to UAH 30.473 billion, net income by 36.4% (by UAH 20.051 billion), to UAH 75.092 billion, gross profit by 2.2 times (UAH 23.057 billion), to UAH 42.062 billion. Ukrgazvydobuvannia, 100% owned by Naftogaz Ukrainy, is the country’s largest gas producer, which provides about 75% of the total gas production in the country. The Overseas Private Investment Corporation (OPIC) on June 14 approved $250 million in political risk insurance for national joint-stock company Naftogaz Ukrainy covering its revolving gas purchase facility. OPIC said on its website that this will help Naftogaz build up gas reserves during the summer months to maintain a reliable supply and affordable prices. Earlier OPIC said that it is planned that the relevant loans, the total amount of which can reach $270 million, will be attracted by Naftogaz from Goldman Sachs International and other international financial institutions. OPIC said the implementation of the project will allow Naftogaz to purchase gas in the amount of up to 4% of the annual consumption of Ukraine at an attractive price for its subsequent sale in the autumn-winter period. Naftogaz Ukrainy unites the largest oil and gas producing enterprises of the country. The holding is a monopolist in transit and storage of natural gas in underground storage facilities, as well as oil transportation via pipelines throughout the country. 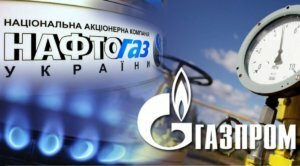 Russia’s Gazprom refuses to abide by final and binding awards of the Arbitration Institute of the Stockholm Chamber of Commerce regarding gas supply to Ukraine and gas transit via the country, the press service of national joint-stock company Naftogaz Ukrainy reported after the negotiations with Gazprom held last week. 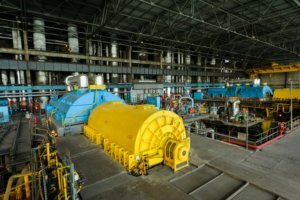 “At that meeting Gazprom made clear that the Russian gas monopoly refuses to resume deliveries to Ukraine as ordered by the Tribunal in the Gas Sales Case concluded in December last year, and refused to confirm that it will pay the 2.6 billion dollars which the Tribunal ordered it to pay in the Gas Transit Case award which was rendered in February,” Naftogaz said. Both arbitration awards are final and binding on Gazprom, the company said. The parties agreed to have another round of negotiations in April.